What is the impact of the activity of interest by future activities? 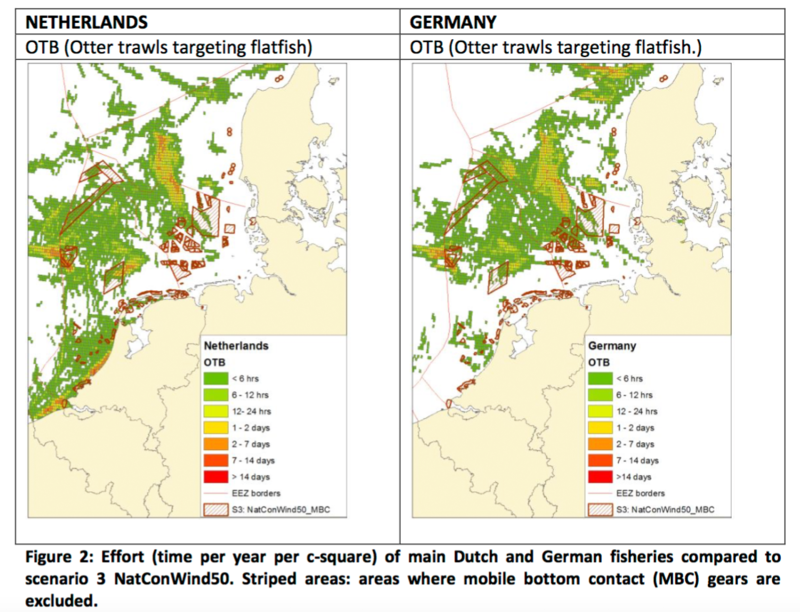 How would different spatial management scenarios impact fisheries revenues? This tool has been presented and tested in the context of the COEXIST project, which ran from 2010 to 2013. It provides a comprehensive assessment of the conflicts and synergies between fisheries, aquaculture and other activities in the coastal zone in six COEXIST case study areas. The ISLA tool is evaluated in the “Guidance of Better Integration of Aquaculture, Fisheries, and other Activities in the Coastal Zone” and is presented in the Deliverable D3.2 “Report on economic analysis in coastal fisheries on the basis of revenue for individual profession and fishing trips” of the COEXIST project. The approach of an individual stress level analyses (ISLA) presents a method at a higher spatial resolution, which allows for comparing fishing effort and revenues depending on management scenarios, thereby estimating the potential impact of spatial closures on the fisheries sector. In this study 328 Dutch vessels (covering 56% of the Dutch fleet and about 94% of its revenue) and 243 German vessels operating in the North Sea (covering 19% of the German fleet and about 86% of its revenue) were included. In ArcMap 10, overlapping with the scenarios activities were indicated by means of a binary coding (1 for closure, 0 if fishing was possible). Effort was then calculated and results were transformed to maps using ArcMap. The tool “Individual Stress Level Analysis (ISLA)” is evaluated in the “Guidance of Better Integration of Aquaculture, Fisheries, and other Activities in the Coastal Zone”. The general requirements to use this tool are presented, as well as the strengths and weaknesses of the tool, its cost and the skills needed. The deliverable 3.2 shows that compared to the bioenergetic model approach (like FISHRENT) the individual stress level analysis (ISLA) cannot account for economic processes and behaviour. However, ISLA enables the analyses of the impact of management on individual companies on a very small spatial scale. In conclusion, the deliverable 3.2 of the COEXIST project shows that the stress level calculations can be useful in Marine Spatial Planning exercises. This tool can be used as one element in a set of indicators to estimate the effects of future management on fisheries based on the closure of fishing grounds, but cannot foresee profit or revenue losses of individual fishermen or fishing communities. The Guidance of Better Integration of Aquaculture, Fisheries, and other Activities in the Coastal Zone document presents a spatial management tool and this introduction to and evaluation of the “Individual Stress Level Analysis (ISLA)” tool is therefore highly transferable. Thanks to this document, each stakeholder is able to judge if this tool could be relevant in his specific case.